It’s no secret that things in New Zealand are expensive—clothes, groceries, drinks, and of course meals out. After moving to Wellington back in February, I quickly learned that eating out too often would leave me with nothing in my bank account. 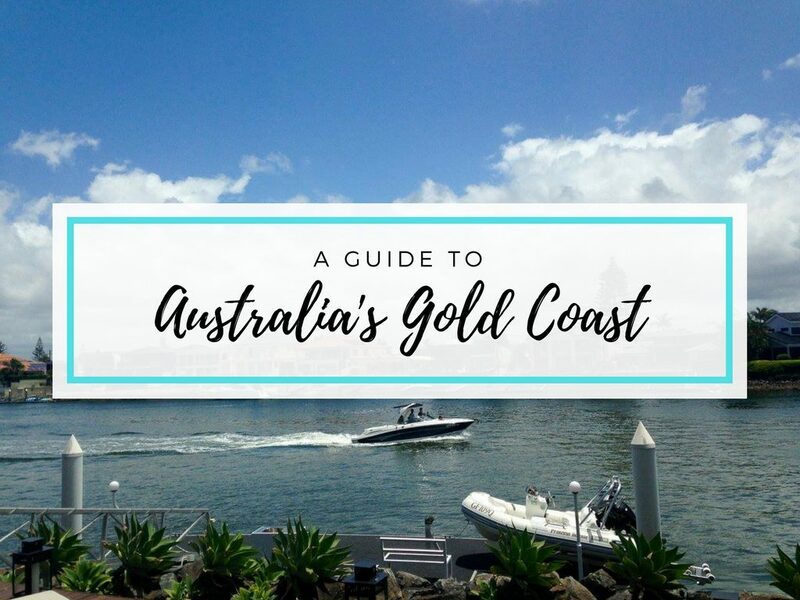 Something that is hard for me as someone with high-end taste on a backpacker budget! Luckily though, I have been able to find some good food deals around the city for those days that I just really want a nice meal. At all of the places I’m about to tell you about, you can get a good meal for a tenner or less. Your next lunch break in the city sorted! This spot is right in the centre of the city, so it’s popular with the work lunch crowd. Monday through Friday, they have a different $10 special in addition to their huge selection of ramen, katsu, and donburi (which is $8.50 by the way). Mondays are a spicy tofu dish, Tuesdays are a special ramen that’s not on their usual menu, Wednesdays and Thursdays are chicken katsudon and pork katsudon, and Fridays are a Japanese-style curry. I have tried a few different things from Hey Ramen and have LOVED each one of them! Who doesn’t love dumplings?! 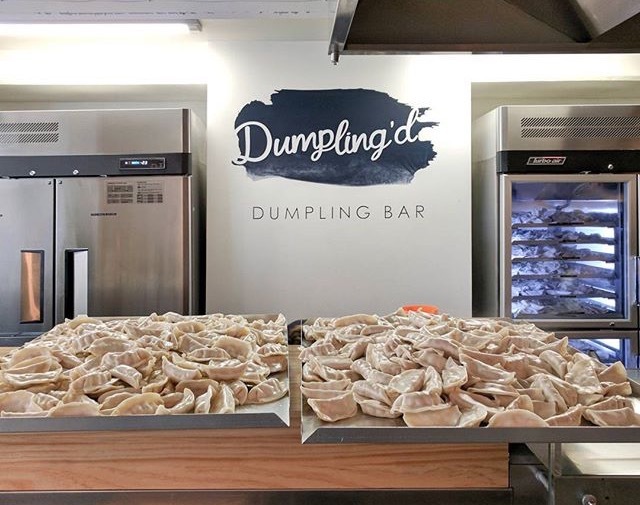 Their menu is as simple as it gets—eight different flavours of dumplings that you can get fried or steamed. They have some delicious flavours, and you get eight good-sized dumplings for $7. My favourite flavours are the chicken with mushroom and pork with cabbage. You really can’t go wrong with any of them though, and I’ve heard their vegetarian dumplings are delicious as well. You can choose to dine in or takeaway, and you can even buy frozen dumplings to make at home! 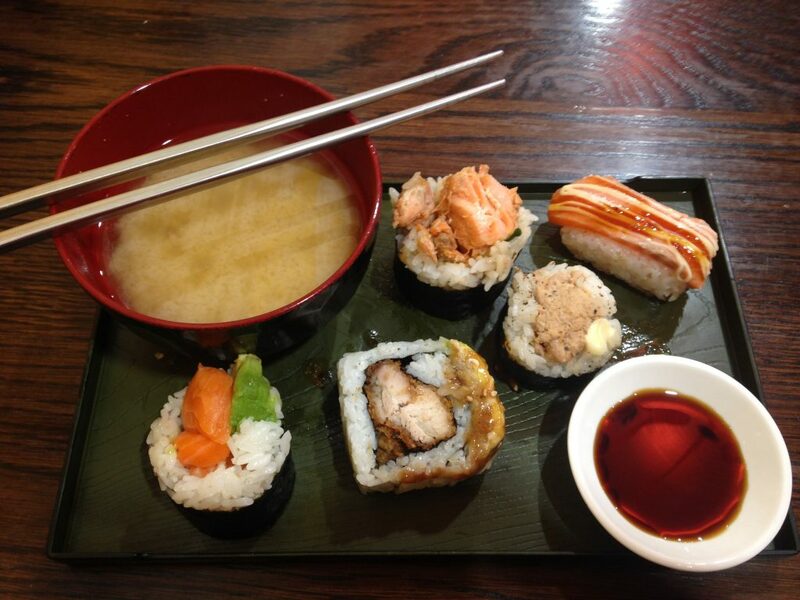 Sushi quickly became my meal of choice when I arrived in Wellington. It seems like every couple minutes you pass another sign advertising $1 sushi! I have tried a few of these places, but my favourite is definitely TJ Katsu on Manners Street. They have a massive selection of different sushi, and the best way I can think to describe them is a stationary sushi train. Lots of the sushi rolls are $1 and some are $1.50 or $2 depending how deluxe they are. 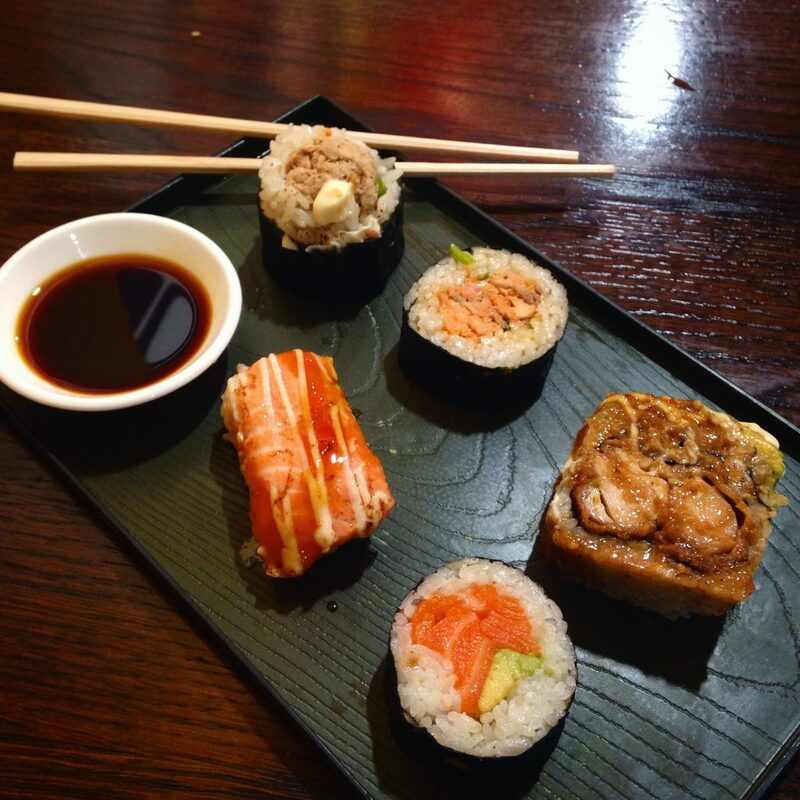 You really can’t go wrong with any of the sushi at TJ Katsu, and I can easily fill myself up with $5 – $7 worth! I’ve seen this Indonesian food stall set up at both the weekend night market and Sunday waterfront market in Wellington. They sell three different types of mie goreng (fried noodles) for $10. They have chicken, pork, and vegetarian, which you can order mild or spicy. So simple yet so delicious! 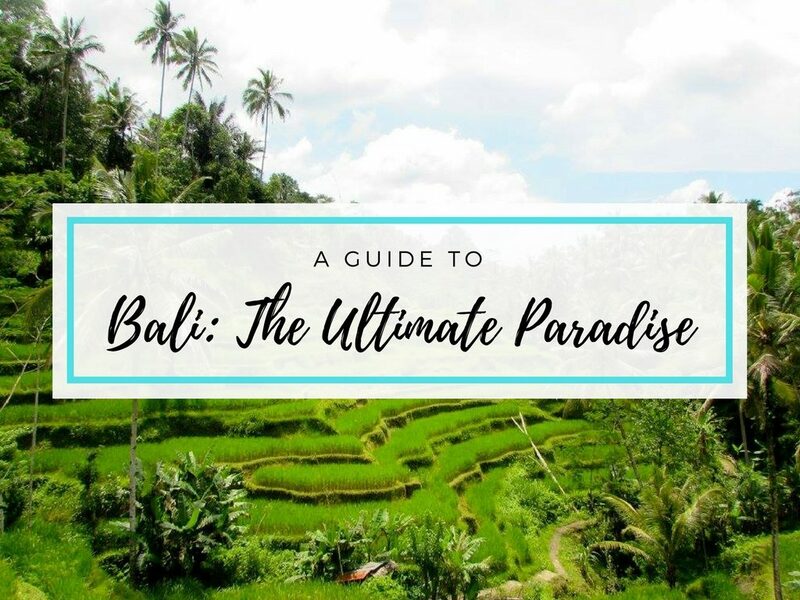 After visiting Bali in November, I developed a huge love for Indonesian food and was so excited when I discovered this place. If you can’t contain your Garuda cravings to just the weekend, you can find them in various spots around the city during the week. Since it’s a food truck though, their location is constantly changing, so be sure to check their Facebook page. This has been my most recent cheap food discovery in Wellington. I walk by their sign almost daily, but decided to try it for the first time last weekend when I was feeling particularly broke. If you walk down Manner Street a lot, you have probably seen their sign advertising $5 curry. I never gave it much thought as I’m not usually a massive fan of Indian food. But I really liked it! 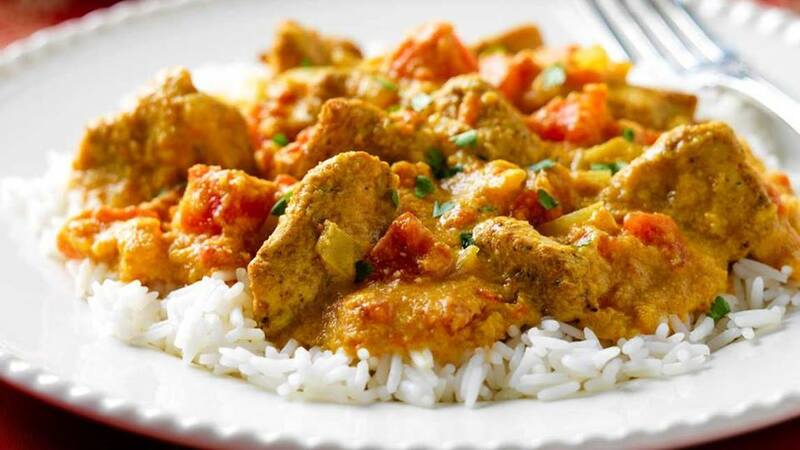 They have all different kinds of curries with different types of meats or vegetables and various levels of spice. I’m not the biggest fan of spicy food, so I went for the mild mango chicken curry with rice, and it was great! You can get a curry and rice for $5 and add a piece of naan bread for an extra dollar. Ekim has become a cult favourite among Wellingtonians in the know. It’s kind of tucked away at the upper end of Cuba Street and tends to fly under the radar. 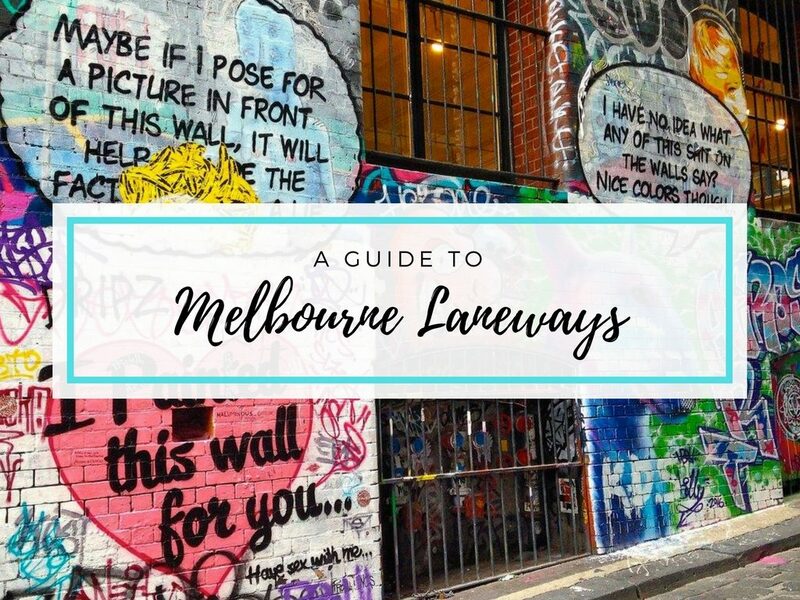 It has a great atmosphere with graffiti and an urban feel to it. It reminds me so much of the bar Section 8 that I have been to in Melbourne a few times. Ekim has a great menu, and it’s super cheap as well! They have all different types of beef, chicken, and veggie burgers along with burritos, sandwiches, and various sides, many of which will cost you about $8 or $9. 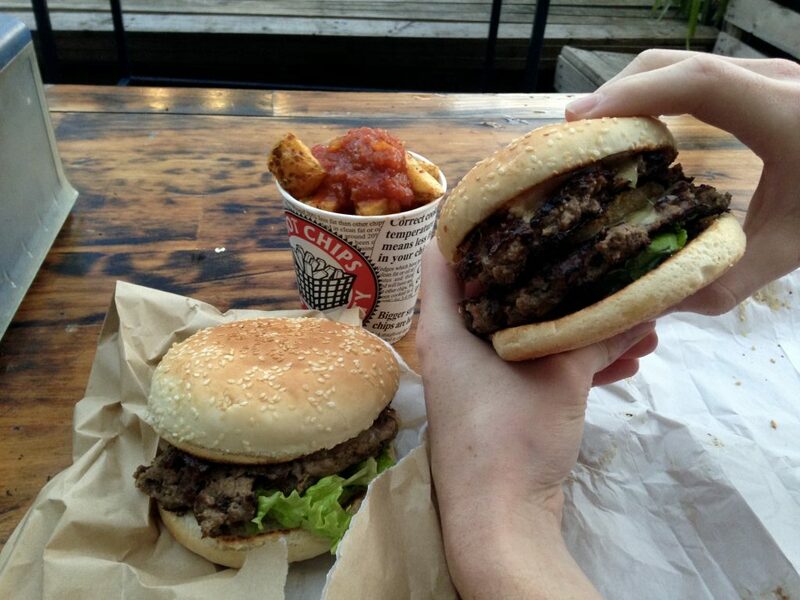 Their quality is great, and it is possibly the best burger I’ve had in Wellington! First off, no this isn’t the Pizza Express you see all over the UK! 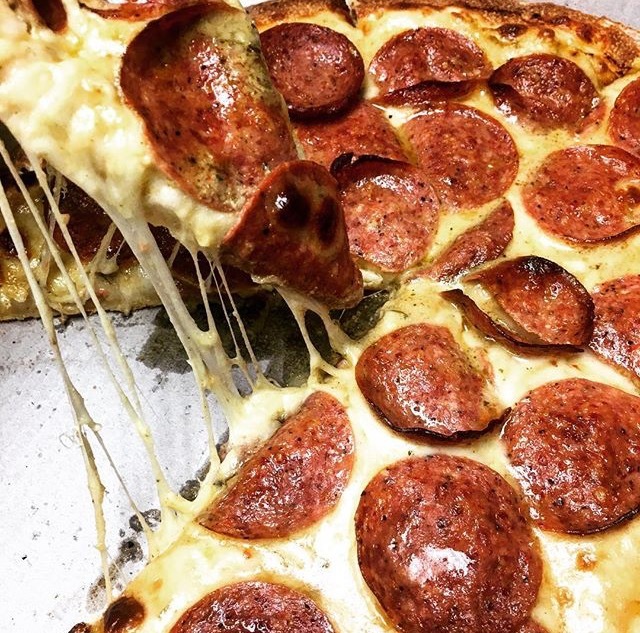 It’s a local Wellington pizza shop that does some of the best pizza in the city. You can get one of their basic large pizzas for $7, which includes flavours like Italiano, Hawaiian, and Margherita. They even have vegan cheese as an option, which I haven’t seen many other places around Wellington! As someone who is lactose intolerant, I am very happy about this because no one wants to give up eating pizza. The vegan cheese is only $3 as well, so getting a large basic with vegan cheese still keeps your bill at a manageable $10. 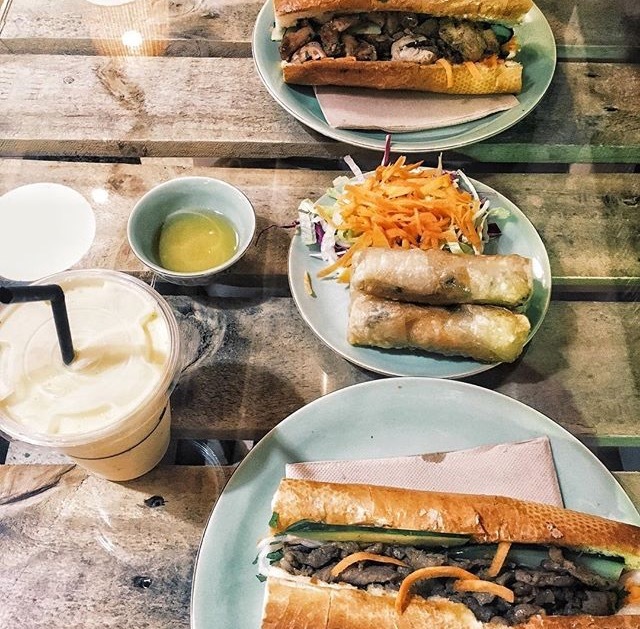 For some high quality Vietnamese street food, it’s hard to beat Where’s Charlie in the Capital Market. Their food is great and really fresh, so you can still feel sort of healthy while eating it! A number of their dishes come in at under $10 including their pork spring rolls, banh mi, and beef and noodle summer salad. Thai Tara has a lunch menu Monday through Friday when you can get a variety of their dishes for $10. 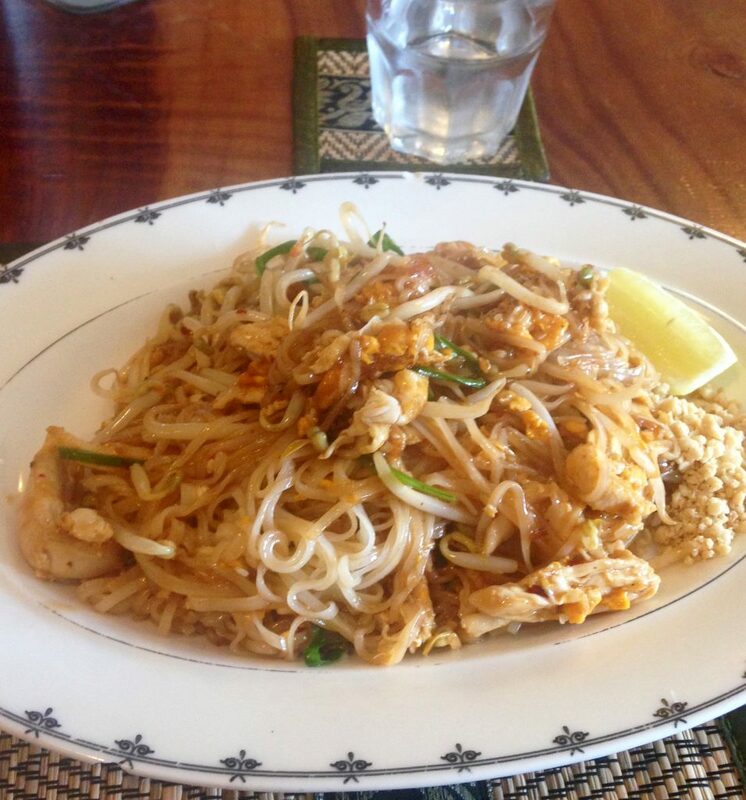 My favourite is the pad thai, and they also do different curries, fried rice, and spicy noodles to name a few. You can get your meal with different levels of spice as well. And just a warning, when you tell them “just a tiny bit of spice”, that translates to them as “as spicy as you can possibly make it!” So if you don’t have the biggest spice tolerance, stick with the mild option. The Chippery has some amazing seafood that is brought in fresh every morning. 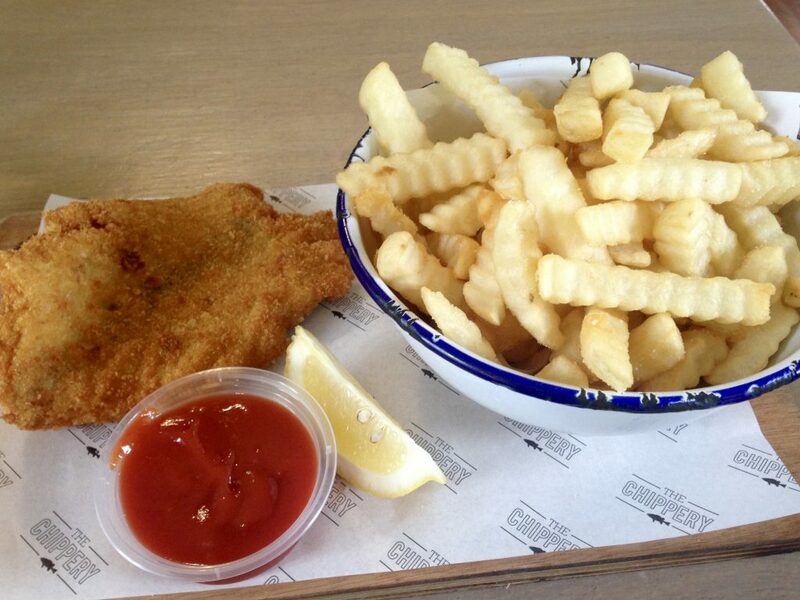 During the week, they offer an express lunch deal for $10 that includes a piece of crumbed fish, chips, aioli, and cole slaw. They have some of the best fish and chips I’ve had as well, so that’s a bargain! They have two locations in the city, one in Mount Victoria and one in Thorndon. I walk past the Thorndon one every day on my way to and from work, and it’s often a struggle not to go in for some fish and chips! This is a small pizza shop on the corner of Courtenay Place that has a loyal following. They serve authentic New York-style pizza, and while you can’t get a slice for $1 like you can in New York, the prices are still pretty good. 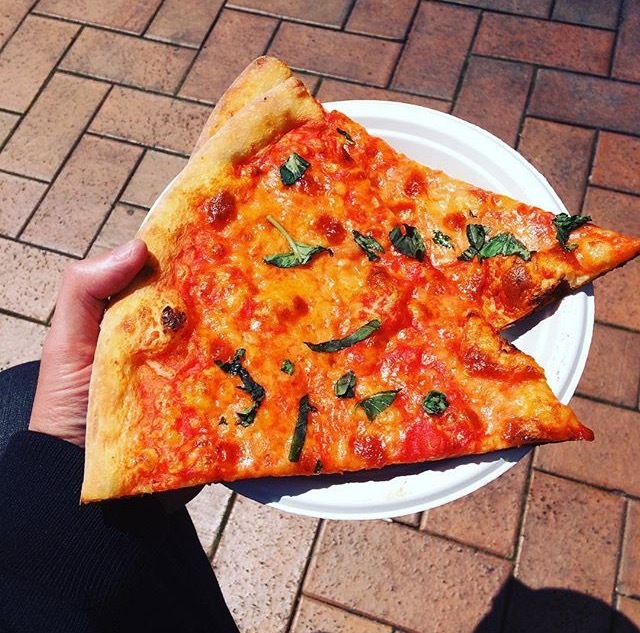 Most of their slices are about $5 (and by slice I’m talking about the size of a plate!) And during week day lunch hours, their margherita pizza is 2-for-1. If you’re not in the mood for pizza, they also have a couple of authentic American-style subs—a meatball sub and a cheesesteak. It’s not easy being a foodie when you don’t have much money to spend. So I was very happy to discover all of these options for those days when you just can’t be bothered to cook! I have loved exploring the food scene in Wellington, and the more time I spend here, the more impressed I am by it. 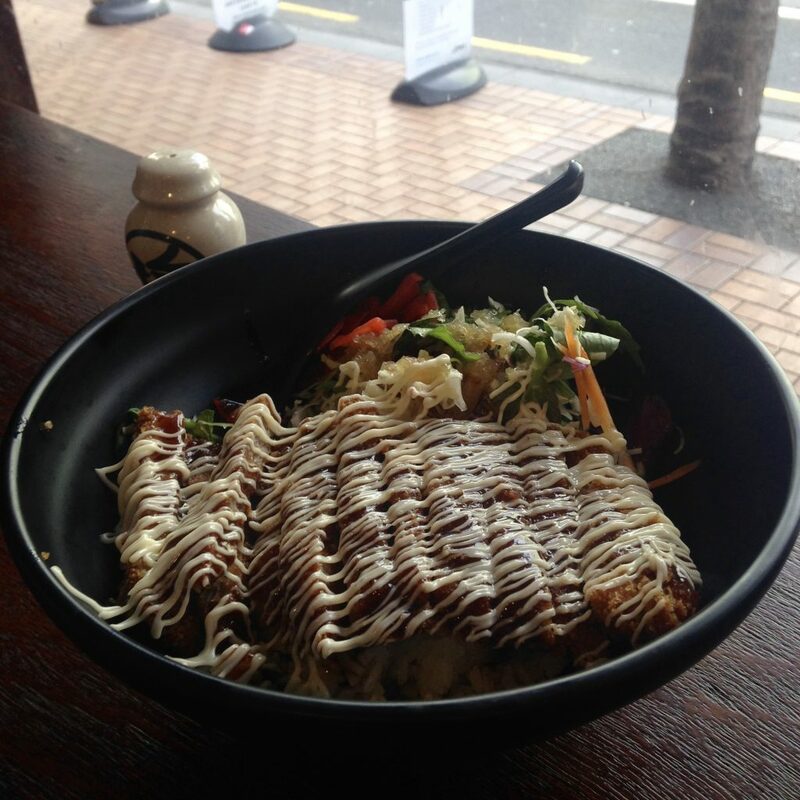 Hopefully I can discover even more amazing cheap eats in Wellington before I leave next month. 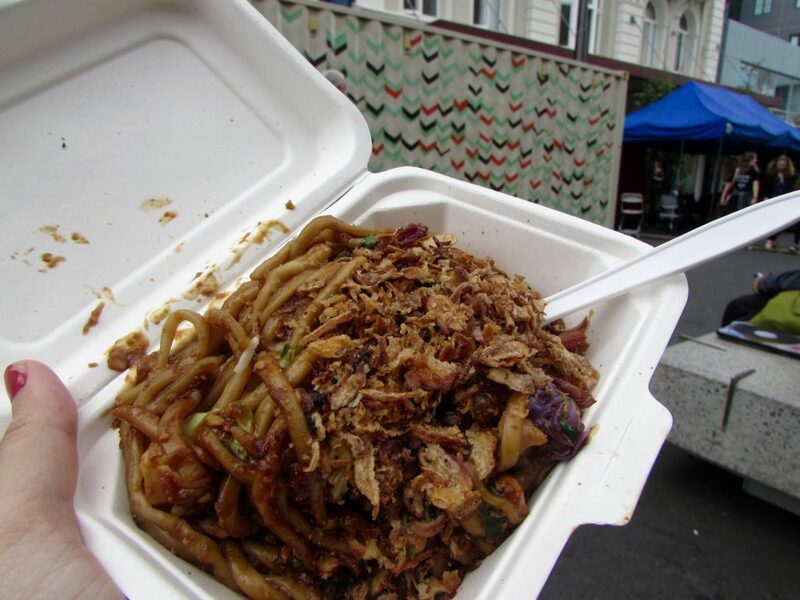 Have you discovered any other cheap eats in Wellington that aren’t on this list? 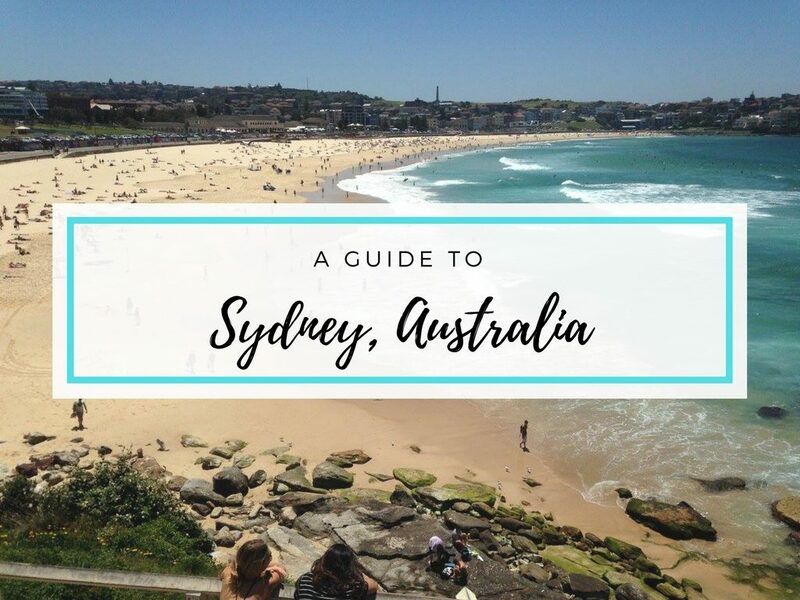 And what are some of your favourite foodie cities around the world? Let me know in a comment! This is an amazing post! 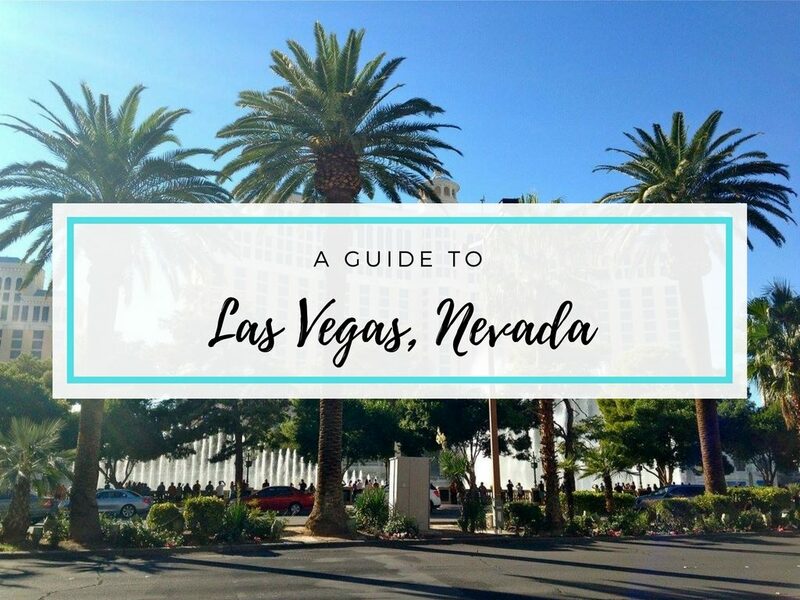 I needed this info as I always try to travel on a budget! 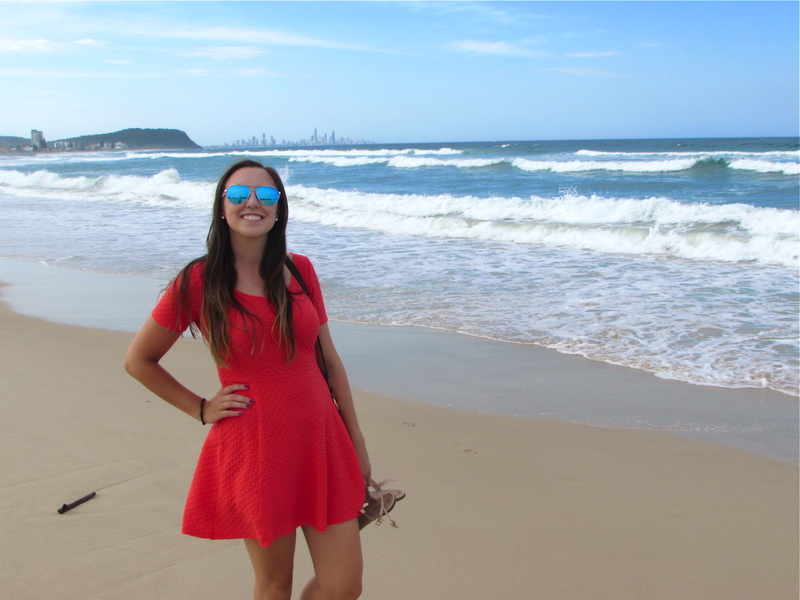 Agness of aTukTuk recently posted…Spending a Year Abroad: Why Take the Plunge?